Being one of the most prime cities in Colombo, located right next to Bambalapitiya, Wellawatte is not only an affordable place to do business, but also an extremely convenient location for buying and renting houses. Wellawatte is classified under Zone 6 within the Colombo municipal region and it begins from Savoy cinema, one of the most popular cinemas in Sri Lanka. It then extends up to the hospital road intersection where Dehiwala starts, featuring many large scale to small scale businesses including textile and jewelry shops, apartment complexes, both luxury and mid-range housing properties, many reputed schools, shopping centers, eateries, banks and other urban amenities that facilitates comfortable living. Thanks to its rapid improvements in terms of economy, infrastructure and technology, Wellawatte is known to have a flourishing real estate climate that boosts by the day. The area is home to a diversified population with a large number of Tamil speaking crowd inhabiting in the location. A wide variety of property from luxury apartment units to luxury home for sale/rent, mid-range houses for sale/rent are also found in this vicinity targeting the aforementioned populace. When compared to the overall property prices levels within Colombo, property in Wellawatte indicates lower price levels, making it an affordable location for both residential and commercial purposes. Furthermore, due to features such as direct transportation links within Colombo, the ease of doing business due to the rapid economic and technological improvements, and as a result of important urban facilities being close to hand, such as reputed schools, leading shopping centers, Banks, etc, Wellawatte stands out to be one of the top desired areas in Colombo. 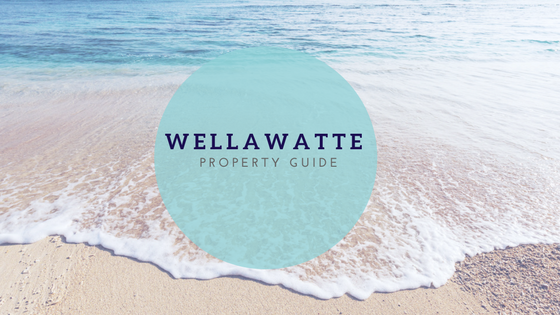 One of the major advantages of buying and renting houses in Wellawatte is the plethora of urban facilities that can be obtained at an affordable price. Since the area creates the perfect living location, houses ideal for single families and multi families are ubiquitously available. Luxury houses here include features such as alarm systems, spacious gardens, secure parking, air conditioning and even a swimming pool. These properties range at an average sale price of LKR 20 to 60 Million, and a monthly rental price of LKR 70,000 to 100,000. Though mid-range houses in Wellawatte do not offer the same facilities that luxury houses provide, these properties are nevertheless, built to ensure safe and comfortable living within the busy area. Average sale prices of mid-Range houses with around 2 bedrooms span from LKR 10 – 15 Million and rental prices range between LKR 30,000 to 70,000. In summation, Wellawatte stands as an one of the locations,especially, for those who are currently working in Colombo and are looking for affordable property options. The city’s economic climate, convenient transportation to prime areas in Colombo and the friendly neighborhood is everything that a property seekers in looking for.